The tomb of Menna at Qurna on the West Bank at Luxor is one of the best known and most important surviving private monuments of the New Kingdom. The colourful scenes show Menna with his family, making offerings to the gods and overseeing agriculture (in his capacity as ‘Scribe of the Fields’). The beautiful quality of the artwork shows he was an “upwardly mobile, wealthy and relatively powerful patron” with access to the best artists and resources, and as almost all of the decoration has survived, his tomb gives a unique insight into the techniques and processes used by ancient artists. Discovered by Gaston Maspero in 1886, TT 69 was open to visitors for many years, causing the paintings to deteriorate slowly over time. This prompted the American Research Center in Egypt (ARCE) to set up a three-year project (2007-2009) to conserve, scientifically examine and digitally record the tomb. The multidisciplinary team led by Professor Melinda Hartwig used specialist non-invasive methods (such as spectroscopic analysis and high-resolution digital photography) to document the tomb completely and create an exact replica of the walls, decoration and texts. 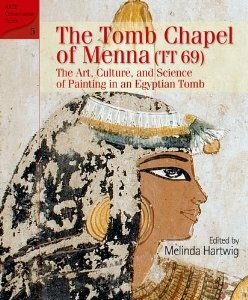 Their work is presented in this newly published book, edited by Professor Hartwig, which gives a complete account of the ARCE project, with chapters covering previous work on the tomb, background on Menna and his family, detailed explanations of the methods of conservation and documentation used by the team, and chapters exploring the painted scenes in terms of their historical, cultural and religious context and significance, with analysis of the painting materials and processes used. Well-illustrated with high-definition colour photographs, each scene is displayed alongside a black and white line drawing for comparison. Representing a detailed survey of a major Egyptological project, the book is an important reference for students and Egyptology specialists, with extensive notes and bibliography included, but the sheer beauty of the paintings will attract anyone with an interest in ancient Egyptian art. 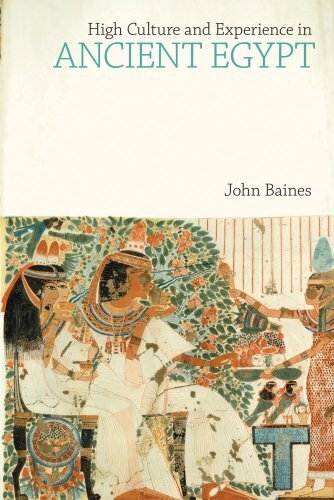 This volume, aimed principally at Egyptologists and academics from other disciplines, comprises four studies exploring the lived experience of the ancient Egyptian elite through the high culture they created and their exploitation of the environment. An introductory chapter sets out the aims and methods of analysis used, highlighting the difficulties of researching ancient life experience where anything not sanctioned by the accepted rules of decorum is omitted from artistic representation. Research into high culture, defined as “production and consumption of aesthetic items under the control and for the benefit of the in the elite”, has previously concentrated on the serious task of maintaining maat through religion, verbal art and major monuments; in this work, the author extends his analysis to include the pursuit of excellence and the celebration and enjoyment of culture by the elite. The first two studies focus on how the elite manipulated their physical landscape for economic, ideological and aesthetic purposes in the urban settlements, but also taking into consideration elite interests in rural areas. According to Baines, one of the core achievements of early Egypt was the investment of creativity and effort into transforming the environment to create an enduring nation state, a process driven by the elite primarily for their own interests. This gave them the opportunity to exploit the land for personal display and experience as well as for economic advantage, and to impose control, in particular with the reorganising of land into estates. The garden is a key aspect of elite activity, representing the achievement of order over chaos and creating an area both productive and aesthetically pleasing; this importance is reflected in the tomb of Meketra (Twelfth Dynasty), whose model houses have rooms reduced to entrances on a wall, a backdrop to the dominant feature of the garden with its pool and colonnaded patio. The realm of the marshes was seen as a landscape of chaos valuable not just for its resources but as a place of pleasure and regeneration. This is explored in the third study based on a short text about a hunting party in the time of Amenemhat II; hunting for sport (rather than for food) was a major socially-defining activity for the privileged few, imbued with symbolism, but also a form of enjoyment and celebration. In the concluding chapter the author discusses the “elite experience”, drawing together issues raised in the previous three studies, and considering the relevance of pleasure as a measure of experience, the importance of self-presentation and personal achievement as the main focus of elite display, experience derived from the ability to travel and the importance of “presence” as an expression of power, ensuring that lesser people know their place. 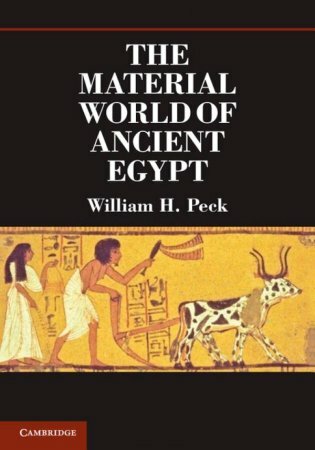 The experiences of ordinary ancient Egyptians are the focus of Professor Peck’s book, which explores ancient Egyptian culture through the basic materials used in everyday life. Peck uses preserved objects, artistic representations and texts to describe dress and personal adornment, housing and furniture, food and drink, hygiene and medicine, transport, sports, music, weapons, and many other aspects of daily life, highlighting the cultural and material changes over time and dispelling long-held myths. 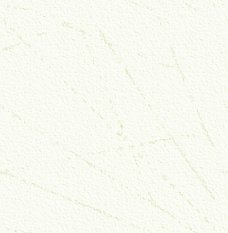 Thus we learn that not all clothes were white – coloured garments were also worn, and while linen was the main fabric for clothing throughout history, wool, hide, leather and fur were also used. Not all men were clean shaven – the moustache and short goatee-like beard were popular during certain periods. Natron salt, used for purification in temples and in the mummification process, was also used as a detergent for washing clothes. Wood, ivory and metal were commonly used to make furniture, with reeds and rush rattan-work used for boxes, chests and lightweight tables, especially in the New Kingdom. While meat was not a major part of everyone’s diet, the raising of animals became an important part of agricultural life, with evidence for attempts to domesticate hyena and various types of antelope. The mistaken belief that Egyptians did not eat pork stems from the accounts of Greek and Roman authors. Glass production, which requires a much higher temperature than the production of faience, did not become a major industry until around 1500 BC, when it suddenly appeared during the reign of Thutmose III, suggesting the king may have brought Mesopotamian glass workers back with him from his campaigns. The book is illustrated with many drawings and photographs (sadly only in black and white), and includes a bibliography and introductory chapters covering geography and geology, an outline history, and a summary of the study of Egypt’s material world from the musings of Greek and Roman travellers to modern day satellite imaging. Written in an engaging and easily accessible style, this book will appeal to anyone wanting to learn more about the reality of daily life in ancient Egypt. With so many books about Tutankhamun already available, is there room for yet another? Zahi Hawass argues he can now add new information about the king and his family based on the recent DNA testing, while in his foreword, Jaromir Malek points out Hawass’ personal involvement in the research into Tutankhamun, which allows him to bring first-hand recollections to his account of the boy king. Hawass begins with chapters on Egypt in the Eighteenth Dynasty leading up to Tutankhamun’s reign, followed by a discussion of ancient Egyptian religion. He describes the early excavations in the Valley of the Kings and the work of Howard Carter and his team. Although the account of Carter’s work is quite brief, Hawass does at least name-check the other people involved in finding and clearing the tomb, whose work is often overlooked. The page dedicated to Hussein Abdel Rasoul, the boy who found the tomb, is a nice touch, with Rasoul photographed wearing one of Tutankhamun’s pectorals. There then follows a detailed exploration of the tomb and its treasures, the research carried out on the mummies of Tutankhamun and his ‘family’ using x-rays, CT scan and DNA testing, a summary of later discoveries in the Valley, useful appendices listing the objects found in the tomb and held in museums worldwide, and a list of Tutankhamun tours which have helped to fund the new Grand Egyptian Museum at Giza, soon to house the king and his treasures; as Hawass points out, it is unlikely that any of Tutankhamun’s objects will travel abroad again. There is a rather bizarre chapter on the ‘curse of Tutankhamun’, with Hawass (a curse non-believer) claiming that Mansour Boraik, the Director of Luxor, and a Japanese television crew were completely spooked by the curse. There is also an account of his failed request to the German authorities for the return of Nefertiti’s bust, with the promise that, should he return to the SCA again, he will reopen the case and see that someday justice is done! 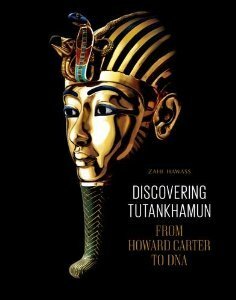 But these aside, and whether or not you agree with all the findings of the DNA research, this book is a well-illustrated review of what is currently known about the life, death and burial of Tutankhamun with beautiful and detailed photography of the king and his treasures. It is also the ‘Official Companion’ for the upcoming exhibition Discovering Tutankhamun at the Ashmolean Museum in Oxford. Much of our evidence for the early Egyptian period is disproportionately concentrated in Upper Egypt, where more arid conditions have allowed a greater level of preservation of material. This latest volume of the BAR series strives to provide a first synthesis of evidence for Predynastic burials and burial traditions in the north, investigating the extent to which this development was influenced by the dominant cultural and ethnic groups of the region, and how this affects our understanding of the so-called Naqadan expansion from the south, in the lead-up to state formation. De,bowska-Ludwin surveys the earliest cultures in the north (Merimda and Omari), the emergence of a Lower Egyptian culture c. 3900BC, the Gerzean culture and cultural unification of Upper and Lower Egypt during the Naqada III period, before exploring the evolution of burial customs (focusing on architecture, the distribution pattern of particular sites, the number of graves, burial goods and the positions of the deceased) throughout this period up to the end of the Second Dynasty, based on recent excavations such as the Polish team’s work at Tell el-Farkha and French excavations at Kom el- Khilgan. She explores various other forms of burial (including child, subsidiary, boat and animal burials) and provides tables listing all published burial sites and a breakdown of burial types, in the appendices. 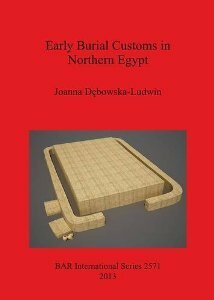 After summarising burial customs in the north, with discussions on the early political developments and Lower Egypt’s cultural legacy to the early Egyptian state, she concludes that, by Dynasty 0, there is a common standardisation of rules for burial goods and constructions and the position of the dead within the grave, with the structure of cemeteries in the north reflecting a cultural rivalry between the native Lower Egyptians and the expanding Naqada culture. She also points to the new excavation projects in progress in the area (such as at the recently discovered site of Tell el-Murra) which could change our present knowledge in just a single season. Children’s author Stella Caldwell has teamed up with artist Mark Millmore to create a beautifully illustrated children’s guide to Egypt, inspired by the discovery of the long-lost journal of her great-great-grandfather who explored the Nile in the 1870s. Excerpts from this diary appear in each of the four chapters: Land of the Pharaohs, Royalty and Religion, Life in Ancient Egypt and the Kingdom of the Dead. Various aspects of Egyptian life and civilisation are covered, including symbols of power, gods and myths, pyramids, homes, mummies and tombs, each explained in short easy-to-read paragraphs, and illustrated with a mix of large detailed photographs and Millmore’s stunning scene re-creations of temples, pyramids, processions and boats. 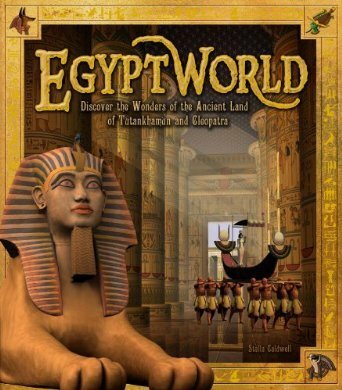 A fun and attractive book to inspire a love of ancient Egypt in children of all ages. After retiring, aged 58, from a highly successful career as a surveyor and geophysicist, Ian J. Mathieson devoted the rest of his life to the introduction of modern surveying techniques in Egypt, initially at his own expense. Under his direction, the Saqqara Geophysical Survey Project identified a wealth of unexcavated structures at the site, and his remarkable achievements have made a huge and lasting contribution to Egyptology. 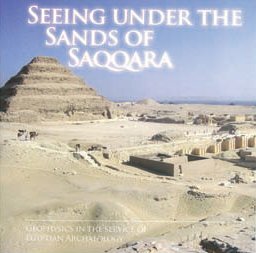 This is a collection of informative essays on aspects of Ian’s work at Saqqara and elsewhere, edited by his widow, Padi. All the entries are written in an easily-accessible style that would have met with Ian’s approval and are well illustrated throughout. The authors, all of whom worked with Ian, include Harry Smith, Barry Kemp, Paul T. Nicholson, Jon Dittmer, Colin Reader, Elizabeth Bettles, Anthony Leahy, Liz Jones, David Heggie and Campbell Price, names that will be familiar to our readers. Paperback, £10, incl UK p. and p.